CGIAR greatly appreciates the contributions made by all our funding partners, without which none of our work would be possible. CGIAR has an annual research portfolio of just over US$900 million with 11,000 staff working in more than 70 countries around the world. CGIAR provides a participatory mechanism for national governments, multilateral funding and development agencies and leading private foundations to finance some of the world’s most innovative agricultural research. 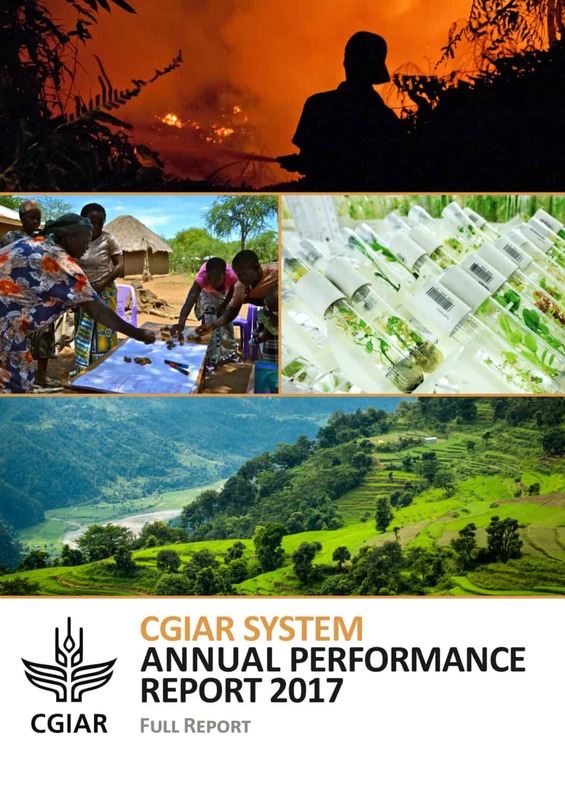 Guided by our Strategy and Results Framework CGIAR is a trusted voice, collaborative partner and engine of innovation in agricultural research for development. Our global network of world class scientists works to address the inequalities and challenges that impact the livelihoods of so many. At CGIAR we have a long history of advancing agricultural innovation for development and our work is only possible through ongoing collaboration and financial support from all our generous funders and trusted partners. 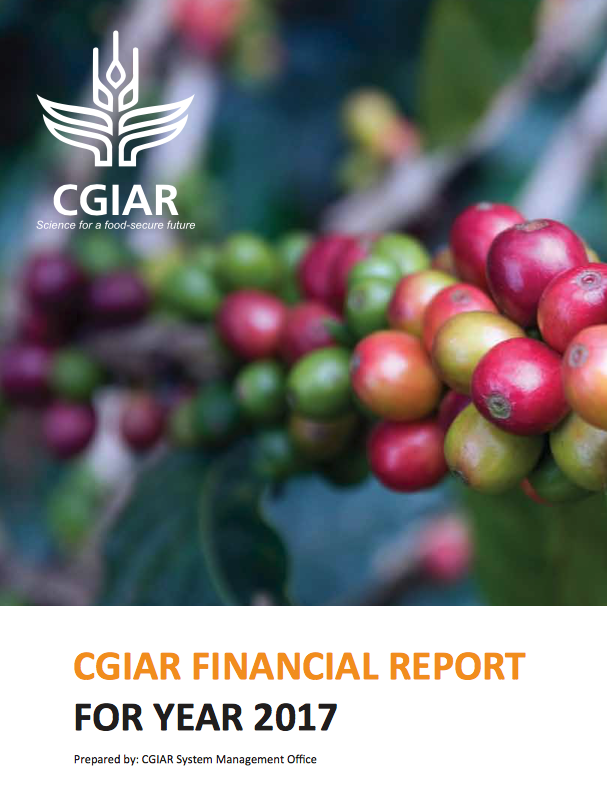 For more information on CGIAR funding, download the latest Financial Report. As the world’s largest global agricultural innovation network, CGIAR brings evidence to policy makers, innovation to partners and new tools to harness the economic, environmental and nutrition power of agriculture. A representation of CGIAR Funders come together to form the CGIAR System Council. 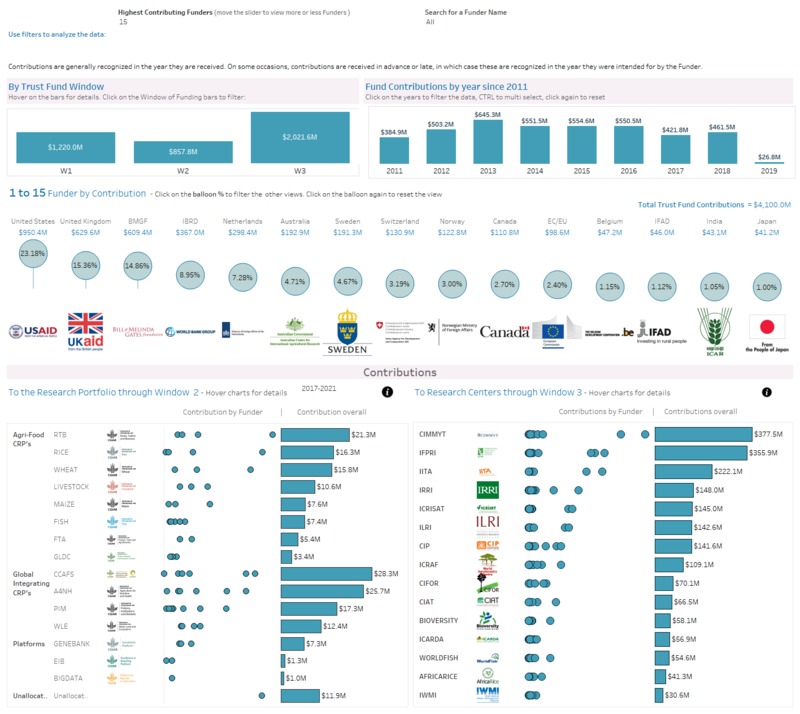 Full details are available in the CGIAR Trust Fund dashboards. * Recognizing contributions to the CGIAR Trust Fund from March 2017. Our CGIAR funding partners provide invaluable support to CGIAR Research Programs through targeted projects and bilateral investments in CGIAR Research Centers. Want to help CGIAR transform the global food system? CGIAR research is only possible with the generous and continued support of our funders and partners. However, continued and additional support is needed to accelerate change and transform our global food system. At CGIAR we enable investors to contribute to a research partnership which delivers direct benefit to those most in need. Interested in getting involved? Learn more about our impact driven work and get in touch with us to discuss opportunities. The CGIAR System Organization greatly values the ongoing support of the French Region ‘Occitanie / Pyrénées-Méditerranée’, and in particular, the Region’s generosity in building the Organization’s headquarters in Montpellier, France, on the Agropolis International site. The environmentally-friendly building, designed by the French architectural firm François Fontès, was completed in June 2014 and is made available to the CGIAR System Organization, free-of-charge, for its ongoing use. L’Organisation du Système CGIAR attache une grande importance au soutien continu de la Région ‘Occitanie / Pyrénées-Méditerranée’. L’Organisation du Système CGIAR apprécie particulièrement la contribution de la Région matérialisée par la construction du siège de l’Organisation à Montpellier, France, sur le site d’Agropolis International. Ce bâtiment, respectueux de l’environnement, a été conçu par le cabinet français d’architectes François Fontès et est mis à disposition de l’Organisation à titre gracieux depuis son inauguration officielle en juin 2014. CGIAR research is made possible by our funders. They contribute to a research partnership with direct impact on the livelihoods of the poor.